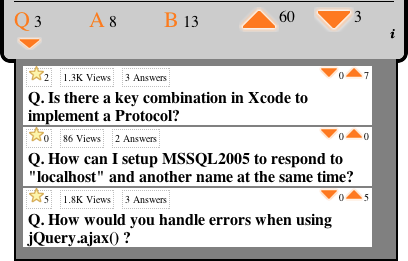 Stack Dash is a Mac OSX dashboard widget for Stack Exchange for displaying reputation, questions, answers and badges for a specified user and site. This widget was put together originally right after the SO api was put into Beta. I made this because I wanted to understand how to make a dashboard widget. It is very rough so please go easy on it! 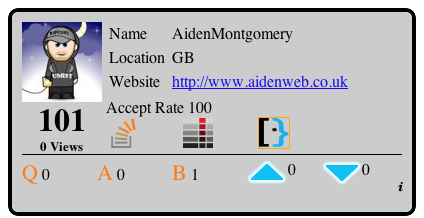 Aiden Montgomery created Stack Dash. Leave feedback here and raise issues on the Git Hub project. Browse other questions tagged app mac-os-x .